A beautiful skin is a dream of everyone and we’re at a constant battle to keep our skin well moisturized. 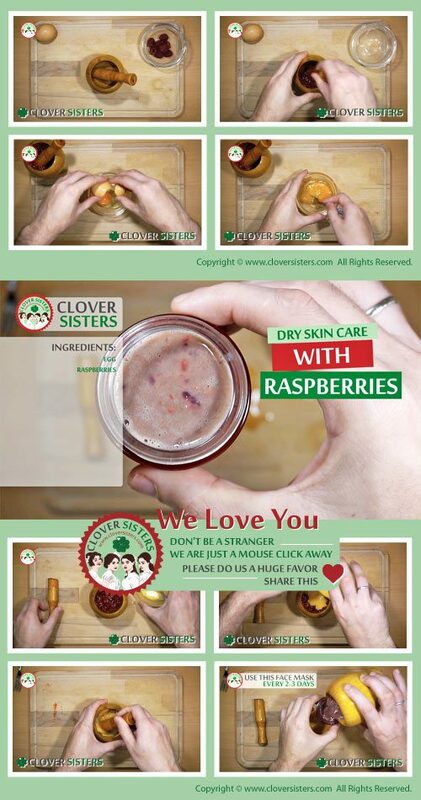 Skip the fancy lotions and use raspberries to moisturize dehydrated skin by helping your skin retain moisture. Lets take a look at how to achieve this and indulge your skin with this nourishing goodness of natural ingredients. Take 1 egg white and add 6 mashed raspberries. Use this mixture to massage the skin every 2 days for about 10 minutes.